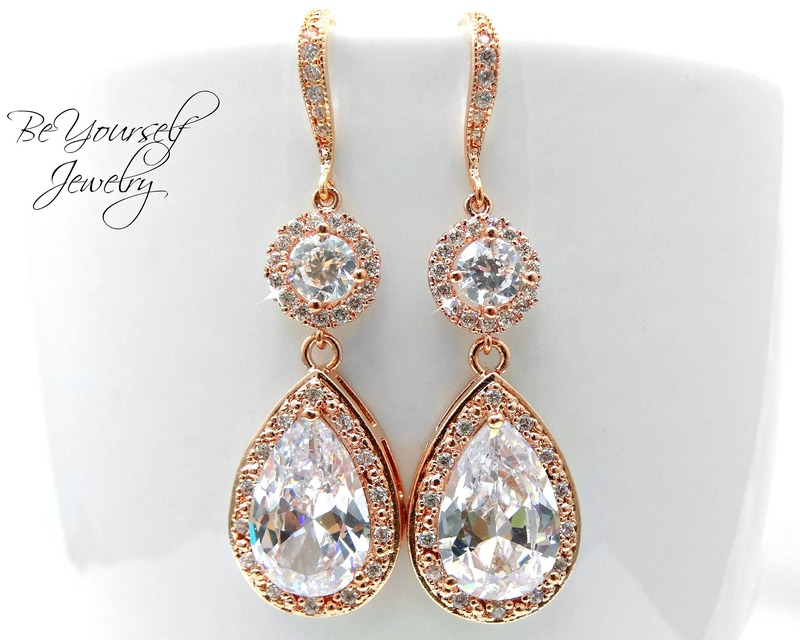 Luxurious and super sparkly rose gold bridal earrings and necklace that we made using high quality Cubic Zirconia components. Perfect for weddings and special occasions. Pictures don't make justice to these beauties, you have to see them in person! - The earrings measure about 2 inches in length. - This jewelry will arrive gift wrapped in a beautiful jewelry box with the jewelry card quote of your choice from the options available at our shop. * Special thanks to all the beautiful brides that sent us their gorgeous wedding pictures! I ordered this set to wear at my son’s wedding. My dress is a peacock blue/green color. This set is absolutely beautiful and will match perfectly. Dressy enough to wear for special events; simple enough to wear for casual events. The seller was wonderful to deal with and shipped my order sooner than I expected. Couldn’t ask for a better transaction. Thank you!